The latest update on iOS 10 has increased its functionality and has bought many exiting features, but most impressive part is the ability to use third party app inside the native messaging app which is known as iMessage. You can run your favourite apps within the iMessage chats which not just enhances the functionality, but also allows users to get most of their conversations. Whether you want to book a table in a restaurant, get live updates of a sport event or want to get alerts about the weather in your messages. Everything is possible now and you can easily share that information among your group to help them out. Here in this article we would like to give you information about some most useful and best iMessage apps that enables more features in your chat and make it more effective. So, without further adieu, please have a look at some of the best iMessage apps that you should download and increase the efficiency of iMessage app. A perfect app for instant money transfer through a safe channel. All you need to do is just link your MasterCard, Visa or Discover card to transfer money. 128-bit encryption along with Touch ID keeps your transaction secure. You can deposit cash to your bank within a second at 1% fee of the amount. 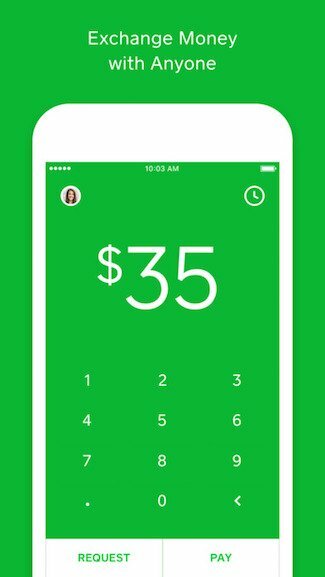 The app allows users to spend money through the app due to its in-built Visa virtual card number. This app provides the facility to discover and reserve a table in any restaurant across the globe instantly without taking any extra charge to do so. The OpenTable also gives you the chance to earn reward points each time you dine using the app. 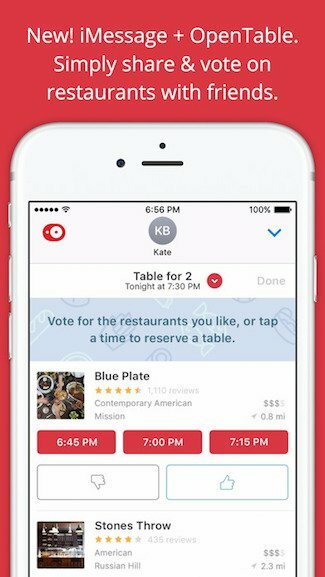 If you are planning to go out for a dinner with friends, then you all can decide by voting due to the integrated features and enjoy your dinner at your favourite place. The app is free to download and is compatible with iOS 10 or later versions. It is specially designed for iPhone and iPad both and works fine with Apple Messages as well as Maps apps too. GIF Keyboard by Tenor is a nice iMessage app which allows users to show their feelings in an effective way from the keyboard. 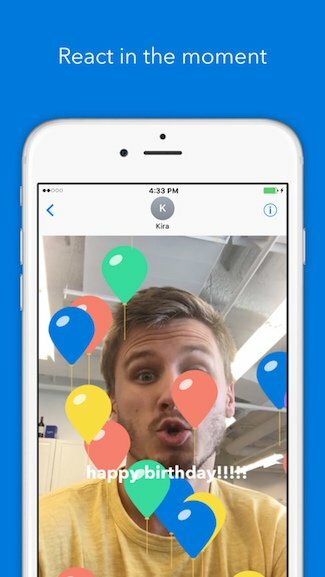 You can create stickers by pressing and holding any GIF and drag and drop that sticker to any image, text or GIF iMessage. You can also create your own GIF using front or rear camera of your phone. It is a great option to express emotions or give a perfect response to anything. If you are planning a day outing with friends and family members then you should be well aware of the weather conditions outside. 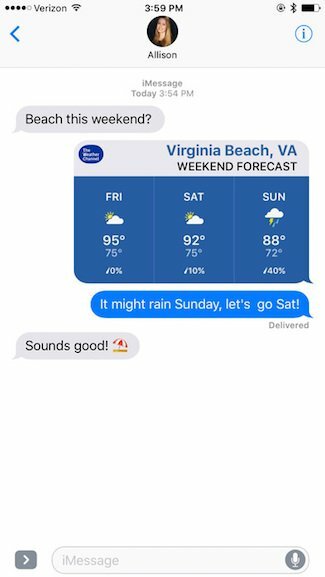 The Weather Channel app provides you weather forecast on daily and weekly basis, which can be shared on iMessage in a format of mini forecasts. This weather channel also sends several alters related to hail, lightning, floods, storms and tornados. Users also get information about current temperature, chances of rain etc. 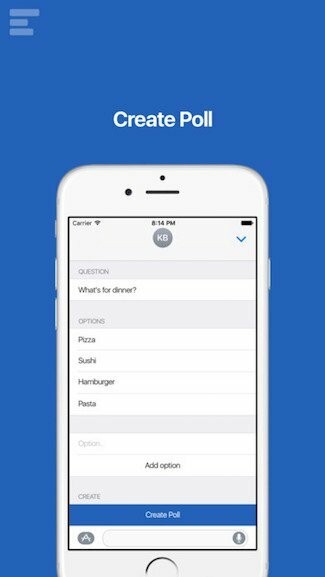 If you want to take an opinion of your friends for any issue, then this app can help to create and deliver a poll quickly within your iMessage conversation where each member will be allowed to vote and the result will also be displayed at the same time. You can involve eight friends in the conversation and ask them to vote as per their choice. The app requires iOS 10.0 or later version and is compatible with iPhone, iPad and iPod Touch. 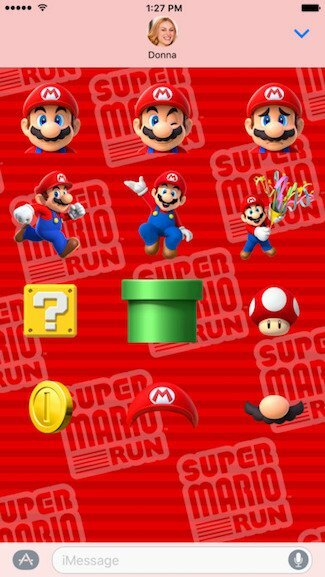 Well all have played Mario for sure and now you can enjoy a free sticker pack which allows you to trim your conversation with them. In order to place a sticker, just press and hold it, then drag to the message and exiting Mario world will reflect over there to express your feeling in a magnificent way. The app requires iOS 10 or later version and compatible with iPad, iPhone and iPod Touch. You can make your conversation more effective by using this amazing Star Wars imagery which can be placed easily anywhere in the iMessage. In order to use those stickers which work like standalone emoji you need to tap on them to send or press and hold to place over images or other stickers. 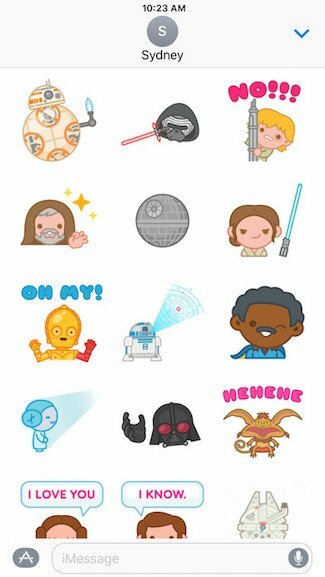 The user needs to have iOS 10 or later to receive star wars stickers and they work fine with iPhone, iPad and iPod Touch. 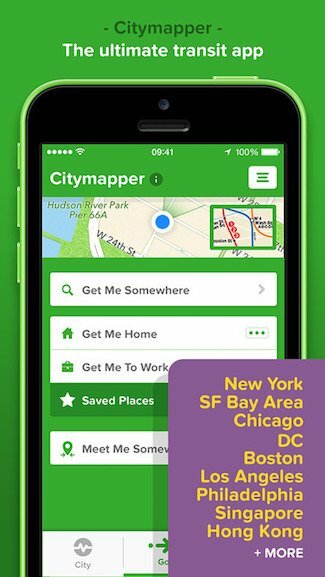 Citymapper is a free transit app for metro cities across the globe and covers all major cites in USA, Canada and other continents. The app helps users to share the location is few taps within a couple of seconds and integrates all travel modes such as Bus, Train, Bike, Ferry and Subway. It also integrates Uber Cab service which helps you to manage your trip and reach the place where you want effortlessly. 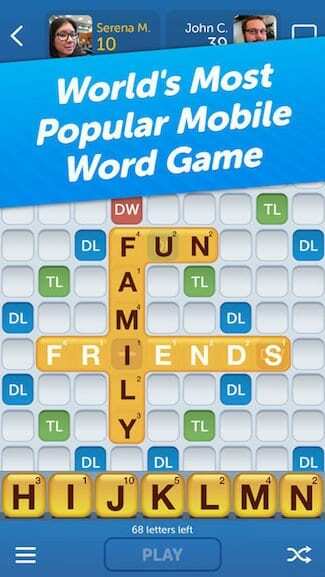 This free app provides you free social crossword games which can be played with friends during a chat. You can invite your friends or family member using the contact list of your phone and solve puzzles in a group by spelling words. To get extra point you can make bigger words and take a special stop which double your points. 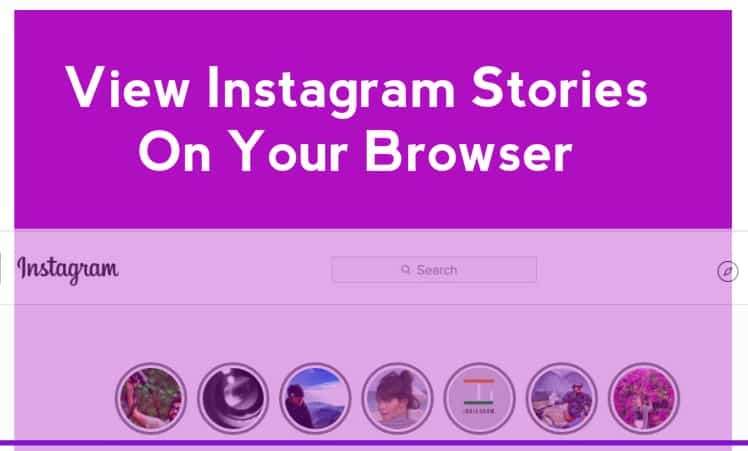 The app requires iOS 8 or later versions and is compatible with iPhone, iPad and iPod touch. It supports multiple European languages too. ESPN is one of the most popular sports app available in the market which allows users to get real-time update about scores, get latest news and watch live sports events across ESPN networks. 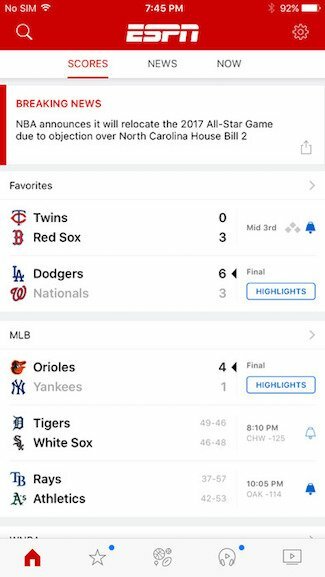 You can sing in and get alerts about the scores and video highlights of breaking news about your favourite sports team. The app is free, supports English and Spanish languages and requires iOS 9 or later versions to work smoothly. This is the app for those who love their privacy. The app allows users to interact with private and secures their conversation by end-to-end encryption. It also provides facility of self destruction of any message after getting read and prevents screenshots. 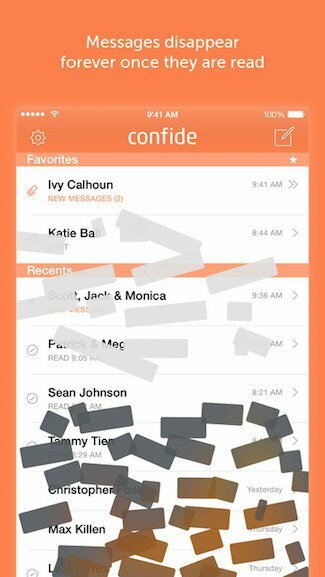 It is a free, confidential messenger which supports multiple languages, requires iOS 8 or later versions and is compatible with iPhone, iPad and iPod Touch. IMessage is already popular due to its easy to use interface and valuable features. 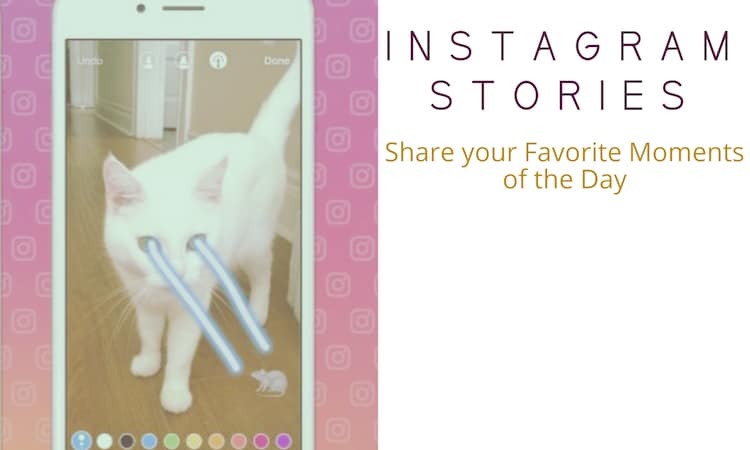 Now the integration of other famous apps as extensions has enhanced its functionality and it will definitely attract most of the users. 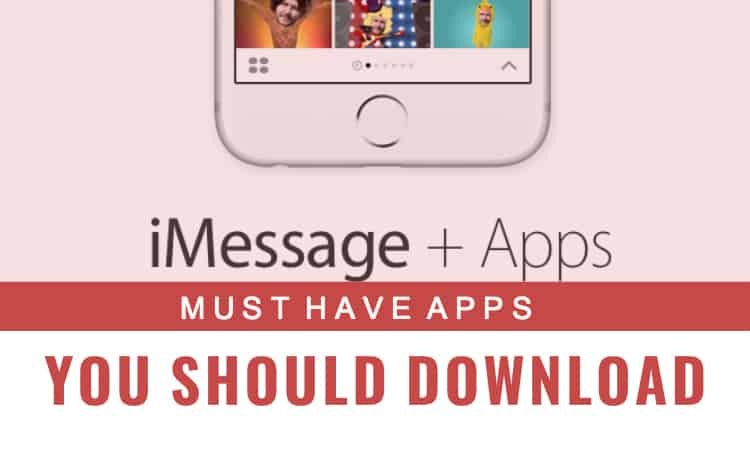 Hopefully the list of these best iMessage apps that has been provided by us will help you to enhance your app. If you know any of the best iMessage apps that you are using and finding useful, do not forget to tell us in the comments section below.